Jones at a pre-trial hearing in 1984. Image via AP. 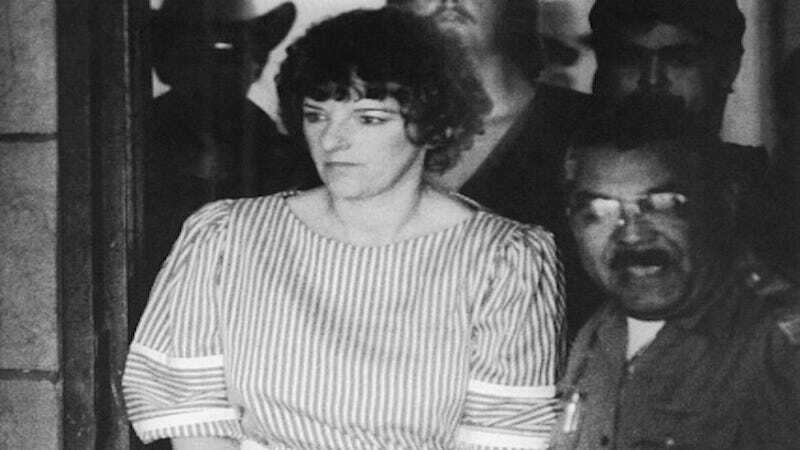 Texas nurse Genene Jones, a suspect in the murder of up to sixty children, has been indicted for two murders, both of which date to 1981. The New York Times reports that Jones was indicted in Bexar County in the deaths of 2-year-old Rosemary Vega and 11-month-old Joshua Sawyer. According to the Bexar County District Attorney, injected Sawyer with a “toxic level” of an anti-seizure drug while she worked at a county-run hospital. The 66-year-old Jones is already serving two concurrent prison sentences in Gatesville, Texas. In 1984, she was sentenced to 99 years in state prison for the 1982 murder of toddler Chelsea McClellan. That same year, another jury sentenced her to 60 years for the injury 4-week-old of Rolando Santos. Like Sawyer, Santos was injected with unnecessary drugs, in this case, a blood thinner. Jones was scheduled to be released from prison in March 2018, the result of mandatory release laws that were active when she was convicted. Prior to her March 2018 release, Jones will be extradited to Bexar County where she will await trial. Her bond is set at $1 million.